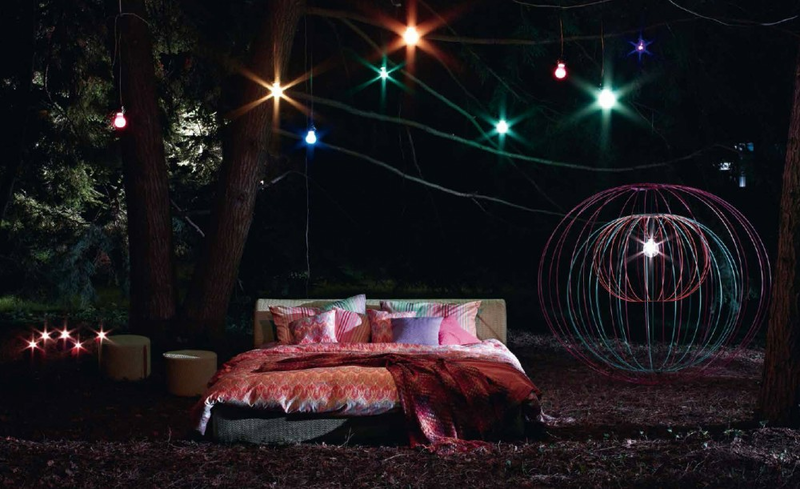 Inntil Bed series is made by Missoni Home. 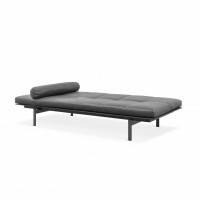 The bed frame is made of wood covered in crush-proof polyurethane foam. The upholstery is removable. 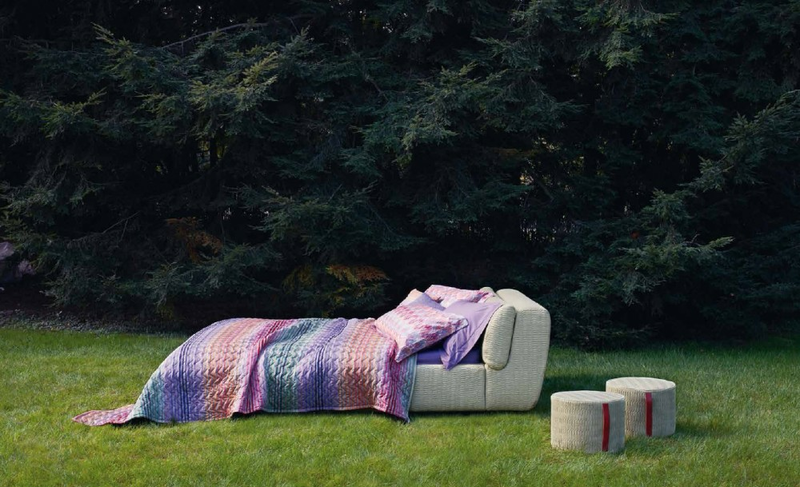 Available in a wide range of Missoni Home Fabrics.